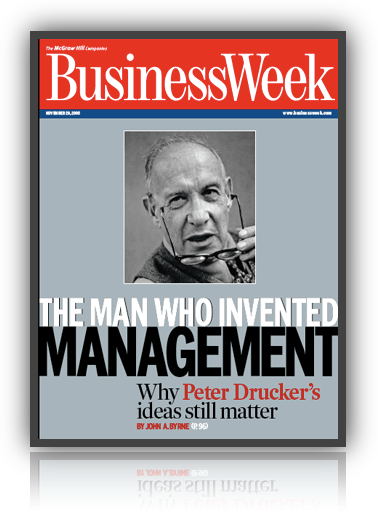 Individual decisions: see the questions raised in Career and Life Guidance from Peter Drucker. For example what do you want to put into life and what do you want to get out of it? calls for some decisions. Executives do many things in addition to making decisions. But only executives make decisions. The first managerial skill is, therefore, the making of effective decisions. There are countless books on the techniques of decision-making. Complex logical and mathematical tools have been developed for the decision-making process. But there is little concern with the essential process itself. What are the important elements in it? 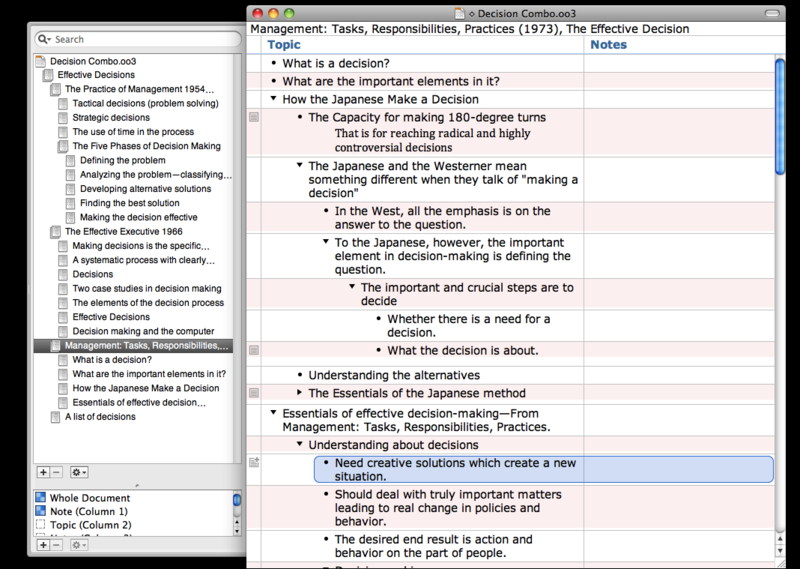 The only people who have developed a systematic and standardized approach to decision-making are the Japanese. Their decisions are highly effective. Yet their approach violates every rule in the books on decision-making. Indeed, according to the books, the Japanese should never be able to arrive at a decision, let alone an effective one. It might, therefore, be fruitful to take a look at the Japanese way of decision-making in order to find out what the elements of the process are. In the first place, it makes for very effective decisions. While it takes much longer in Japan to reach a decision than it takes in the West, from that point on they do better than we do. After making a decision, we in the West spend much time “selling” it and getting people to act on it. Only too often either the decision is sabotaged by the organization or, what may be worse, it takes so long to make the decision truly effective that it becomes obsolete, if not outright wrong, by the time the people in the organization actually make it operational. The Japanese, by contrast, need to spend absolutely no time on selling a decision. Also, their process makes it clear where in the organization a certain answer to a question will be welcomed and where it will be resisted. Therefore, there is plenty of time to work on persuading the dissenters, or on making small concessions to them which will win them over without destroying the integrity of the decision. The Japanese process is focused on understanding the problem. The desired end result is action and behavior on the part of people. This almost guarantees that all the alternatives will be considered. It rivets management attention to essentials. It does not permit commitment until management has decided what the decision is all about. Japanese managers may come up with the wrong answer to the problem (as was the decision to go to war against the United States in 1941), but they rarely come up with the right answer to the wrong problem. And that, as all decision-makers learn, is the most dangerous course, the irretrievably wrong decision. Above all, their system forces the Japanese to make big decisions. It is much too cumbersome to be put to work on minor matters. It takes far too many people far too long to be wasted on anything but truly important matters leading to real changes in policies and behavior. Small decisions, even when obviously needed, are very often not being made at all in Japan for that reason. With us it is the small decisions which are easy to make—decisions about things that do not greatly matter. Anyone who knows Western businesses, government agencies, or educational institutions knows that their managers make far too many small decisions as a rule. And nothing causes as much trouble in an organization as a lot of small decisions. Whether the decision concerns moving the water cooler from one end of the hail to the other or the phasing out of one’s oldest business makes little emotional difference. One decision takes as much time and generates as much heat as the other. What are the essentials of the Japanese method of decision-making? First the focus is on deciding what the decision is all about. 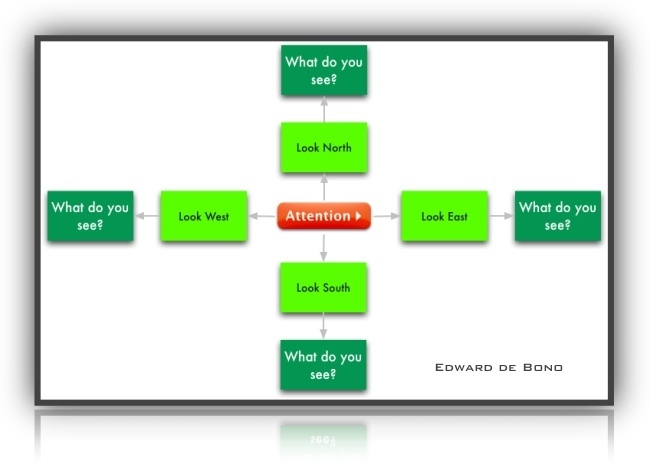 The Japanese do not focus on giving an answer; they focus on defining the question. The Japanese, second, bring out dissenting opinions; because there is no discussion of the answer till there is consensus, a wide variety of opinions and approaches is being explored. The process further brings out at what level and by whom a certain decision should be made. 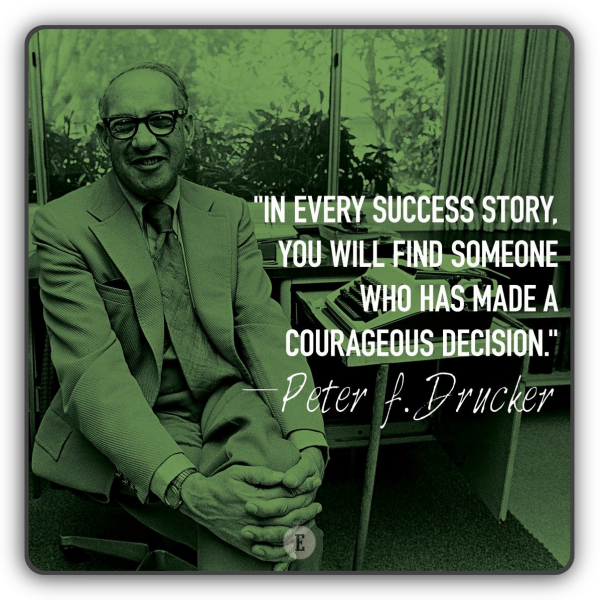 And finally, it eliminates selling a decision. It builds effective execution into the decision-making process. The specific Japanese system is, indeed, sui generis. It could not be used elsewhere but presupposes the unique social organization of Japan and of Japanese institutions. But the principles which the Japanese put to work in their decision-making process are generally applicable. They are the essentials of effective decision-making. Effective executives make effective decisions as a systematic process with clearly defined elements and in a distinct sequence of steps. They do not make a great many decisions. They concentrate on the important ones. They are not overly impressed by speed in decision-making. They want to know what the decision is all about and what the underlying realities are which it has to satisfy. They want impact rather than technique; they want to be sound rather than clever. They are not content with doctoring the symptom alone. They know when a decision has to be based on principle and when it should be made on the merits of the case and pragmatically. They know that the trickiest decision is that between the right and the wrong compromises and have learned how to tell one from the other. You might want to harvest and calendarize the key points and steps from several of the above. This will provide a useful work guide. Also you might want to employ TEC-PISCO, or TO/LOPOSO/GO during the decision thinking process.